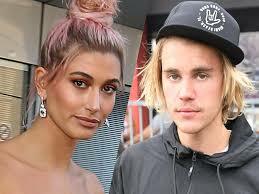 Although they both reached out to lawyers for a prenup, Justin and Hailey contacted their attorneys the very same day that they got hitched. There’s no way to get a prenup drafted and signed that quickly. It turns out Justin is so in love he doesn’t see the need for one. Justin’s net worth is estimated at $250 million and Hailey is reportedly worth a couple mil….just sayin’. So, what will happen when they divorce? As a rule, when it comes to divorce, it’s important to have your divorce lawyer and estate planning attorney work together to prevent a situation where your ex spends all your money with their new victim, er I mean… love interest. Outdated documents, beneficiary blunders and other estate-planning mistakes can tie your assets up in court for years, allow taxes and legal fees to eat up a chunk of your estate, or give inheritances to people you didn’t have a good relationship with, like your ex-spouse. Making sure that your estate ends up with the right people may be more complicated than just drawing up a will. IRAs and 401(k) accounts have their own named beneficiaries and will automatically pass to the designated person, regardless of what’s in your will. But many people fail to update the beneficiaries on these accounts after their divorce. Often the homestead property is transferred to one spouse at the conclusion of the divorce. Believe me when I tell you how important it is to deed over the property as soon as practical. All too often we end up back in court to clean up a deed that should have been addressed via the MSA (marital settlement agreement). Finally, leaving assets to your minor children in your will without a trust, or not having a will at all, is the same as placing the children’s legal guardian (probably your ex) as their trustee. This means that your ex will manage your money on behalf of the children. How’s that for a kick in the ***?! In addition to wishing Justin Bieber and Hailey Baldwin a wonderful marriage, I also hope their divorce attorneys and estate planning lawyers communicate to protect their estates from court battles, taxes and a contested probate, all of which are time-consuming and expensive.